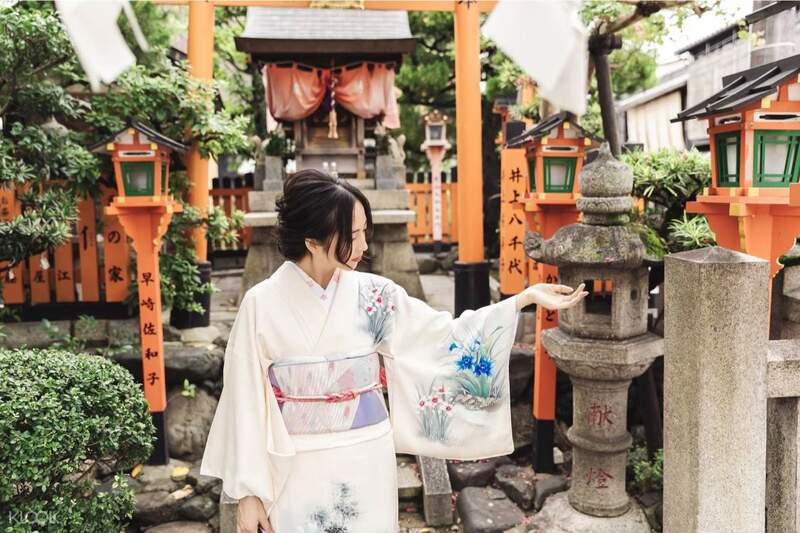 Explore all 7 floors of traditional Japanese garments and choose one that best fits your style! Was very near my hotel in gion. Picked the Elite option and there were alot of designs to choose from. However they are one of the more expensive ones if you want to extend the rental overnight. 1500 yen plus tax. 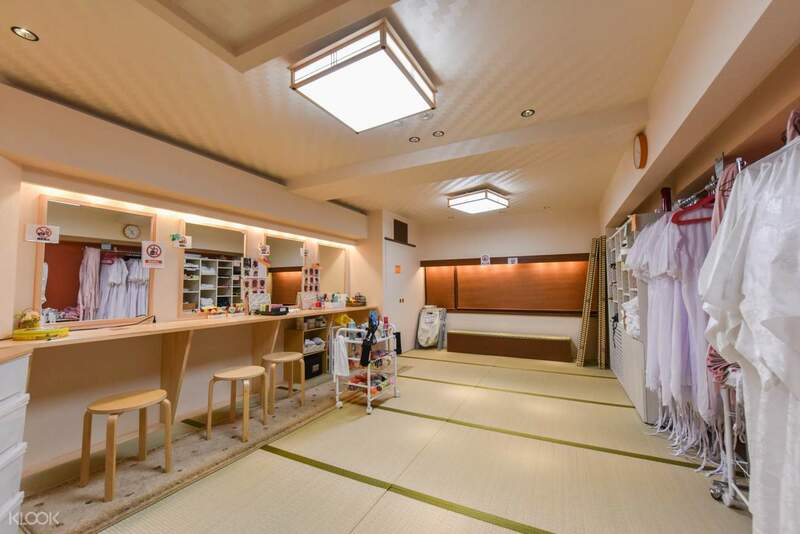 Located in the heart of Gion along the popular Hanamikoji Street, you'll find the Hanami Kimono Rental Store. 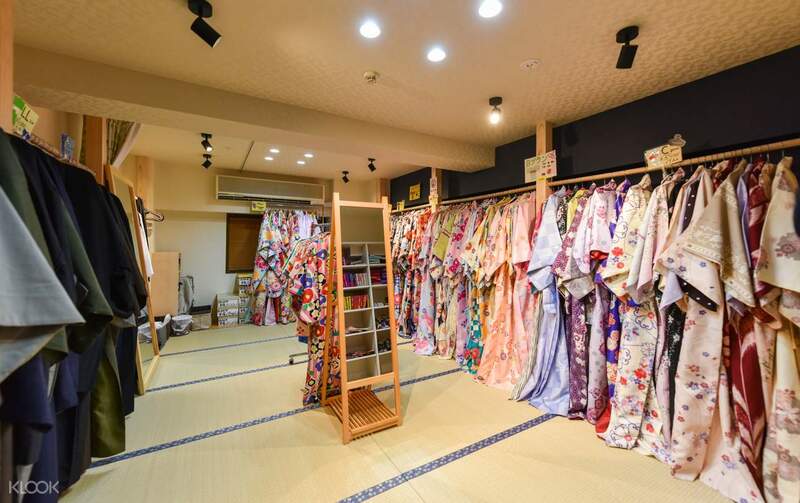 Standing 7 storeys high, the store houses over 200 kimonos for women and 70 pieces of classic local clothing for men, plus a little something for the kids as well! 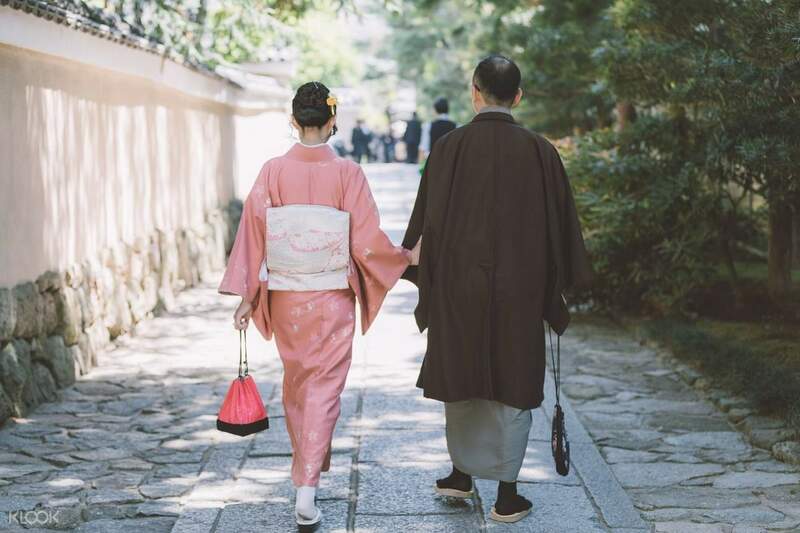 Choose a kimono that best fits your style, and the friendly staff will assist you as you put on the traditional Japanese outfit - undergarments and all. If you want to add a bit more flair to your outfit, girls and women can avail of make up and hairstyle services before you head out into the streets to flaunt your OOTD. Pro tip - ask the staff about professional photography services that you might want to avail of to complete the entire experience! Men can choose from over 70 traditional garments, complete with a bag, sandals, and more! They have pictures of the hairstyles available and all you need to do is choose one. The staff were very professional. They do know a bit of english and chinese. The hairstyle is done in a jiffy and you will look so polished in your kimono! They have pictures of the hairstyles available and all you need to do is choose one. The staff were very professional. They do know a bit of english and chinese. The hairstyle is done in a jiffy and you will look so polished in your kimono! The shop was easy to find near to station Gion-Shinjo. Can take keihan line directly from osaka to Kyoto. There have staff that can speak Chinese so communication is not a problem. The staff are friendly and efficiency, we book for a group of 6 person, within one hour have done for hairdo and for the kimono wearing. The shop was easy to find near to station Gion-Shinjo. Can take keihan line directly from osaka to Kyoto. There have staff that can speak Chinese so communication is not a problem. The staff are friendly and efficiency, we book for a group of 6 person, within one hour have done for hairdo and for the kimono wearing. Was very near my hotel in gion. Picked the Elite option and there were alot of designs to choose from. However they are one of the more expensive ones if you want to extend the rental overnight. 1500 yen plus tax. Was very near my hotel in gion. Picked the Elite option and there were alot of designs to choose from. However they are one of the more expensive ones if you want to extend the rental overnight. 1500 yen plus tax. I really enjoyed my experience renting the kimono, staff was friendly and helped me out with picking my kimono. I really enjoyed my experience renting the kimono, staff was friendly and helped me out with picking my kimono. 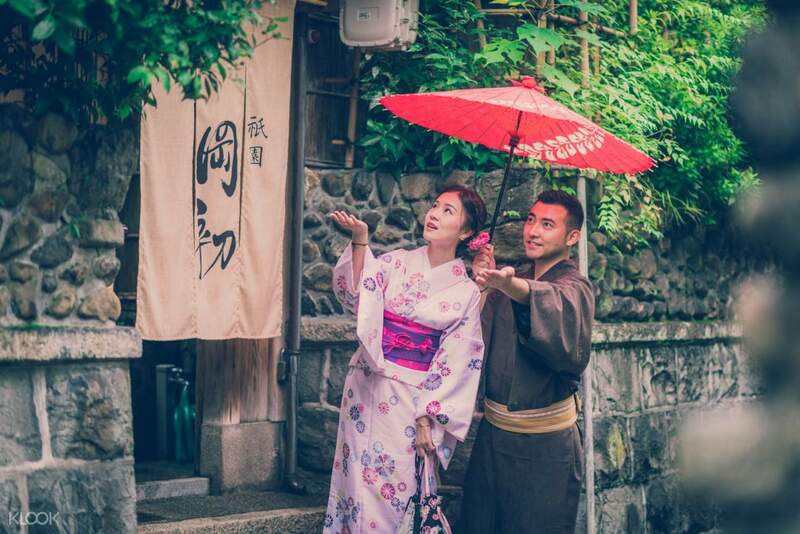 Had tons of fun strolling around Gion district with these wonderful Kimonos! Will do it again for sure. Had tons of fun strolling around Gion district with these wonderful Kimonos! Will do it again for sure. Suggest to book before you go, as I was late for 15mins and was attend 1st before those walk-in as I have already booked. A lot of choices and the people there are nice. English and Chinese speaking. Good places around the area for photo taking. Suggest to book before you go, as I was late for 15mins and was attend 1st before those walk-in as I have already booked. A lot of choices and the people there are nice. English and Chinese speaking. Good places around the area for photo taking.